Ready for some tough love? 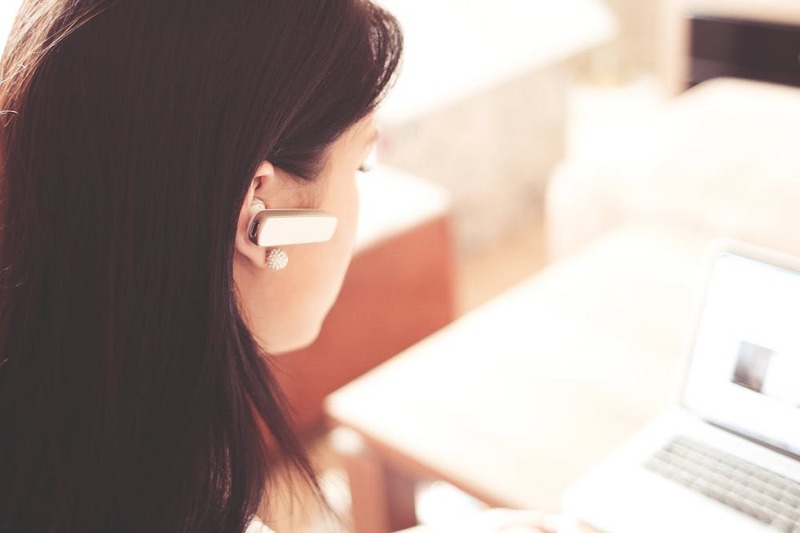 Most U.S. companies struggle with customer service. Just look at the numbers: over 50% of American consumers say they’ve scrapped a planned purchase or transaction due to bad service. On the other end, while a whopping 80% of businesses believe that they’re providing “superior” customer service, only 8% of consumers feel the same. There’s obviously a disconnect here. To help you buck this trend, we’ve put together a list of customer service ideas to wow your clients. Good service involves anticipating your customers’ needs and solving their problems. For example, say you sell leather goods. You know that your customers often scuff their items. Try emailing them a few tips on taking care of the products they’ve purchased from you. You could even gift your customers a sample size leather care conditioner. While you’re trying to solve your customers’ problems, you might even discover product ideas. Look at Amazon, who recently launched their “Try Before You Buy” Amazon Prime Wardrobe. With Prime Wardrobe, shoppers can order apparel online, try them on at home, keep the items they like and return the rest. They’re only charged for the items that they do keep. Amazon wants to give online shoppers a sense of how an item fits. Rather than forcing merchants to provide sizing charts, they decided it was better to launch an entire new product category. Moral of the story? Customer service comes in many shapes, forms, and sizes. Sometimes customer service ideas develop into larger scale programs that drive business growth. Solving your customers’ problems is great, but if you really want to succeed, aim higher. Solve problems in a way that makes them smile. Glasses company Warby Parker kept receiving customer inquiries via Twitter, and knew they couldn’t answer complicated questions in 140 characters. Instead they started a YouTube channel called WarbyParkerHelp. They asked employees to create videos answering common questions. The videos were fun, informational, and extremely well-received by their customers. Warby Parker could’ve come up with an FAQ or blog article. But the effect wouldn’t have nearly been the same. While your customers are waiting to chat with a rep, make the wait less painful by showing them something interesting, like a fun image or GIF. Compliment your customers whenever possible. For example: “Thanks for being so articulate when describing the problem, you’ve made my job a lot easier”. You probably get some crazy sounding requests from time to time. Assuming it doesn’t take too much effort to carry out, why not go ahead and make your customers’ day? Or this customer who asked his Amazon service rep (named Thor) to call him Odin, the father of Thor in the Marvel Universe comics. The bottom line? By complying with these requests and humoring your customers, you can stand out in a sea of corporate brands who go strictly by the book. “I wish Company XYZ would take more time in answering my questions” - said no customer ever. Can’t afford to hire a full-time customer service rep, but want to address your customer questions in a timely manner? Consider using a chatbot. Chatbots are effective, efficient, and according to statistics, will save companies over $8 billion annually by 2022. Contrary to popular belief, bots are simple and intuitive to use. Here are 6 chatbot services that help supplement your customer service team. Or if you’d like to build a custom bot, check out these 10 free tools that you can use to create a chatbot that require zero coding experience. Many companies already host giveaways and hand out freebies on their social media channels. But if you really want to delight your customer, then you have to also incorporate the element of surprise! If a customer wins a $20 gift card through a Twitter contest, they’ll definitely be happy. However, if that same customer posts a picture of your product, and you surprise them with a $20 gift card, the impact is a lot greater. They’ll be happier and will likely share that story with their friends. The trick: surprise! The name says it all. A Hall of Fame of your most favorite customers. The woman who always gives great feedback, and whose insights prompted the company to release new product line? She’s on the Hall Of Fame. That guy who dropped off doughnuts when he came by the office to talk to his Account Manager? He goes up on the Hall Of Fame. It’s all about recognizing your customers, and showing that you appreciate everything they do! The Hall of Fame is not only a gallery of pictures. It’s a great place to share customer stories. Let your customers speak wonders on your behalf. .
And act on it! Here’s a great example: 3-year old Lily Robinson wrote into UK grocery store Sainsbury’s to ask why their Tiger Bread was named “Tiger” instead of “Giraffe”. Instead of ignoring the letter, Sainsbury replied saying that the pattern on the bread did look more like a giraffe than a tiger. This exchange promptly went viral. And Sainsbury’s later renamed the bread to “Giraffe Bread”. Great customer service, or great PR? It’s a bit of both. Even better than studying other companies, you can look within your company for customer service ideas. How do you do that? Simple. Create a feedback program to allow employees and customers to contribute suggestions and feedback. Starbucks, for example, has an Idea Portal where customers can submit suggestions. In 2008, growth had plateaued. So Starbucks created this portal to breathe new life into the business. This program has brought dozens of innovative ideas to life, including free Wi-Fi, birthday treats, happy hour, and more. Even the company’s iconic Pumpkin Spice Latte was crowdsourced via the Idea Portal. You’ll have to invest time and effort into crowdsourcing suggestions, but the payoff is worth it. Within a year, crowdsourced suggestions helped Starbucks increase their 2009 Q4 profits by 375%. All the more proof that customer service has a direct impact on your bottom line. Here’s a secret: customer service is directly tied to your customer segmentation efforts. For example, let’s say you segment by demographics. You could see that your customers aged 25-40 are more tech savvy, and prefer live chat support or self-service portals. Or that customers between 41-55 would rather speak to a rep on the phone. Once you’ve identified this information, you can then cater to your customers more effectively. But here’s the challenge. Traditional segmentation tools require technical knowledge of analytics and statistics. And they have a steep learning curve. These tools also only have the ability to bucket users into groups, not individuals. What to do then? Enter ByteGain, a predictive analytics tool that helps website owners automatically segment customers down to each individual. ByteGain uses AI to automatically comb through real-time data and quickly learns what each of your customers likes, wants, and needs. The software then buckets customers into thousands of specific personas. ByteGain is revolutionizing the way marketers target potential customers; instead of tailoring campaigns to the “average” customer, our AI software can automatically tell you what would resonate with each individual person. This leads to less time wasted, better engagement, and far more conversions. Imagine visiting a website and having it be tailored exactly for you. You’ll no longer have to sift through irrelevant information or dig to find what you’re looking for. That’s exactly what ByteGain can do for your customers. Want to harness the power of AI for your business? Sign up for a two month free trial here.